Round tin with tin top. 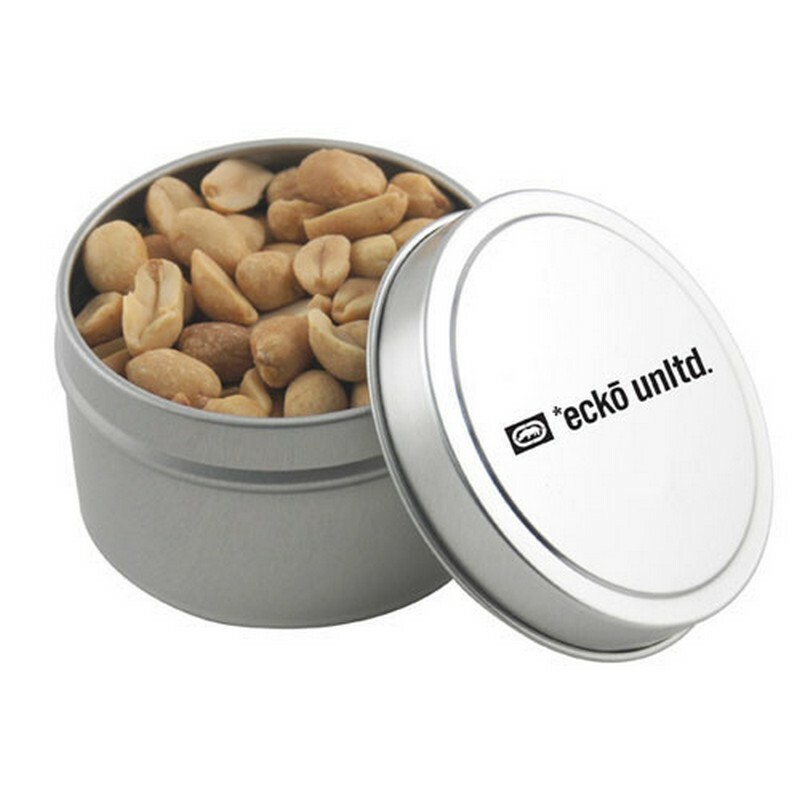 Filled with Peanuts. Bulk packed.